Do you think a colon cleanse diet means boring deprivation? On the contrary; detox diet foods are fabulously delicious, varied and satisfying! One of the biggest nutritional lies is the idea that we all need to eat a diet fit for a chipmunk in order to be 'clean' inside. This idea has done more damage to peoples' health (mine included) than you can imagine! 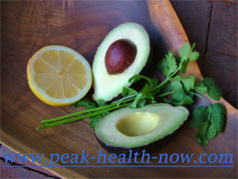 Photo: Avocado, cilantro and lemon can be combined with onion and a little Celtic sea salt for a delicious guacamole! Yes, yes, I do think raw vegetables, juices, fruits, nuts and seeds are wonderful foods; I eat them every day. But the idea that just eating those kinds of foods constitutes an ideal colon cleanse diet that everyone should adhere to for a lifetime is wrong! There ARE instances where such a diet is necessary. Cancer patients doing the Gerson protocol under the supervision of a doctor drink copious amounts of fresh juices to flood their bodies with enzymes, vitamins and minerals. Protein and fat is initially cut way down, partly because digestive enzymes need to be used for digesting the cancer. However, I am all too familiar with the damage that adherence to extreme vegan diet, for example, can do over time. It takes anywhere from two to eight years for a person on a vegan diet to dangerously deplete fat soluble nutrients such as Vitamins A and D that are stored in the liver, Vitamin B-12 and other nutrients. Depletion of amino acids (protein building blocks) starts much sooner. This is disastrous; muscle wasting, hormonal disruption and deranged neurotransmitter chemistry are just some of the resulting damage. Most people end up eventually listening to their bodies after the 'honeymoon period' runs its course and they start to realize they don't feel so good. But some people don't listen, and force themselves to maintain a very restricted diet. They have an image of colon cleanse diet as including only plant foods. I know what that's like, since I believed the same. Over many years, I've noticed that the longer a person forces themselves to stay on such a 'light' diet, the worse they look. It absolutely boggles my mind that some people whose philosophy is all about vibrant health would deliberately court the kind of bodily damage sustained by serious alcoholics and meth users! 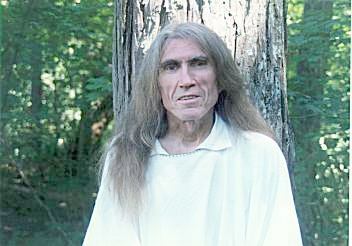 This is of one of the foremost proponents of raw vegan diet (new window opens). Here, for contrast, a photo of one of the leading advocates of a well-balanced whole foods diet that includes an abundance of healthy animal fats and proteins (new window opens). Photo: From left to right: organic raw homemade butter, raw cream and raw handcrafted cheese from Jersey cows on a nearby farm. If you are as open-minded as I think you are, you are still with me. QUESTION: Does dairy cause 'mucus' and clog the colon? ANSWER: NO! That is a myth! What causes excess mucus is foods and substances which we are unable to fully digest and assimilate. This can include fruits, nuts, certain vegetables, and yes, dairy products - in fact any food! The burden of environmental toxins is so great now that its impact on our immune systems weakens our ability to deal with things like healthy foods that normally should not be allergens. Heavy metal toxicity can cause allergies to dairy and many other foods and substances simply because of severely compromised immune function. This happened to me. A consistent and progressive detox and nourishing program restored the ability to eat virtually any healthy food I want. Colon cleanse diet can include healthy organic dairy and other foods of animal origin. Body detoxification methods like colon cleansing, coffee enema and EDTA Chelation will help reduce the body's toxic load. This tends to reduce food allergies, allowing you to eat a more delicious and satisfying array of foods. Simply eating TOO MUCH food creates toxicity. We are unable to properly digest and assimilate EXCESS food! Whatever food is not completely digested and assimilated becomes toxic. Eating too much leads to allergies and other health problems - even if the food is of high quality! Remember that moderation in food intake quantity is essential for a colon cleanse diet to be effective. Commercially produced dairy products contain all manner of toxins, drug residues (from antibiotics and other medication routinely given to factory-farmed cows) and other substances that are harmful to our bodies. Do you know that cows that produce milk for large dairy operations are fed GARBAGE? Cows can digest and assimilate materials such as cardboard complete with glue, moldy corn and potato chips, rotten orange and grapefruit peels from the citrus industry, etc. Despite publicity to the contrary, commercial dairy cows are still fed animal products. Add a garbage diet to drugs, overcrowding, hormones and insecticides use to control flies, fleas and other pests. All this shows up in the cow's bloodstream and ends up in their milk. If you drink it, those toxins build up in your body. Excess mucus is the body's attempt to get rid of substances that causes harm. 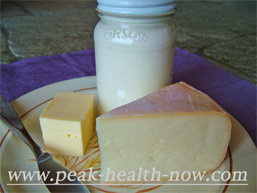 Pasteurization destroys the healthy enzymes that aid in digestion of dairy products! Virtually all commercial milk and cheese is pasteurized. Enzymes are destroyed by temperatures over 120 degrees farenheit. If we have a hard time fully digesting any food, the undigested portion can become an irritant to the body. While some people are indeed allergic to dairy products, to make a general statement that 'dairy causes mucus' is a fabrication to justify an opinion based on sheer fantasy. The truth is, colon cleanse diet CAN include healthy organic dairy products. Many people who have been allergic to commercial dairy products find they enjoy raw, pasture raised milk products with no problem! The same goes for eggs, beef and various vegetables and fruits. Should You Use Flaxseed on a Colon Cleanse Diet? QUESTION: Is flaxseed a good intestinal cleanser? ANSWER: Flaxseed can be a good bulk colon cleanser. Fresh, whole flaxseeds are so sharp that they have been known to perforate the lining of the gut and become embedded! It is best to thoroughly GRIND them before consuming. The other problem with flaxseeds is that the essential fatty acids in flax oil becomes rancid faster than those from almost any other food. Within 24 hours, flax oil, or ground flax seed becomes so rancid and full of free radicals, it is not even considered good animal feed! THEREFORE, eat ground flaxseed immediately after grinding! Should You Avoid Meat on a Colon Cleanse Diet? QUESTION: Does eating meat poison us, clog our colons and cause cancer? Not only that, assuming it is pasture raised, grass-fed meat - it is one of the cleanest-burning fuels for humans (assuming a reasonably healthy digestive system). For hundreds of thousands of years, humans lived on diets composed primarily of meat with health vastly superior to modern humans. It is the way the animals are raised and the food prepared (to say nothing of living in a world rife with pollution) that poisons us, clogs our colons and causes cancer! (Please see my comments on dairy, above). NOTE: Fowl, especially chicken, needs to be thoroughly cooked. But grass fed beef and lamb is healthiest, tastiest and easiest to digest when cooked rare. What Percent of Colon Cleanse Diet Should be Raw? There is endless debate over the raw vs. cooked food issue. The biggest advantage of most raw foods is that they contain the very same enzymes needed for their digestion. This spares your body from having to use enzymes for digestion. Therefore many raw foods, including those of animal origin, are beneficial on a colon cleanse diet. For example, raw milk contains lactase for digesting the lactose (milk sugars), lipase for digesting the fats and protease for digesting the proteins. Raw or rare meats contain cathepsin and other enzymes that break down proteins for assimilation. Raw plant foods contain cellulase that helps break down cellulose (roughage or fiber), and enzymes for digesting carbohydrates and starches. The enzymes spared by eating raw foods can be used for bodily cleansing and regeneration. They break down old tissue and wastes in the body, and help in building and repair. Also, enzymes are used in virtually every process that happens in the body, such as neurotransmitter function and hormone production. Additionally, heat-sensitive nutrients such as Vitamin B-complex and C-complex are available in raw foods. High-heat cooking molecularly alters macronutrients (protein, fat and carbohydrates), changing them into toxic substances. Cooking is appropriate for grains, beans, potatoes and other starchy foods, making them more easy to digest (however, the less of these foods you eat, ultimately the better). Poultry, especially chicken, needs to be cooked thoroughly. People with certain kinds of digestive issues like irritable bowel syndrome need more cooked food because they have a difficult time digesting raw fiber. How much raw and cooked food you eat is a very individual matter, and you need to experiment to see what feels best for you. Bile Flow: A Most Powerful Determinant of Intestinal Health!